19thc Antique Bird Whistle . English. C1800-20. 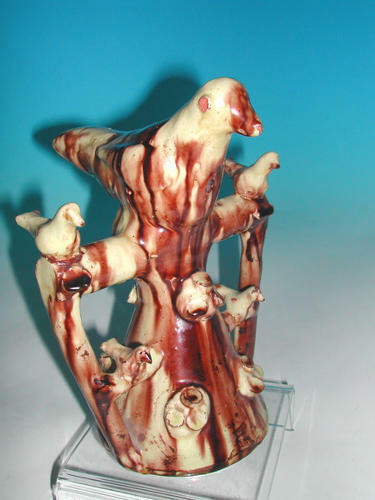 A Whieldon Trickle glaze pottery whistle, decorated with birds of various sizes.